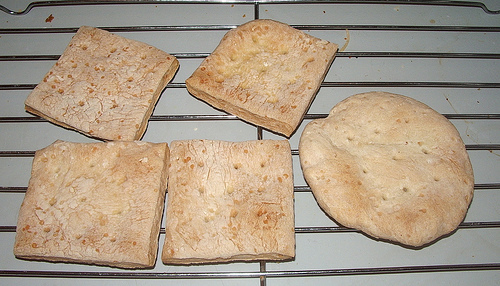 We know hardtack by other names—ship’s biscuit, pilot bread, or sea biscuit, for instance. 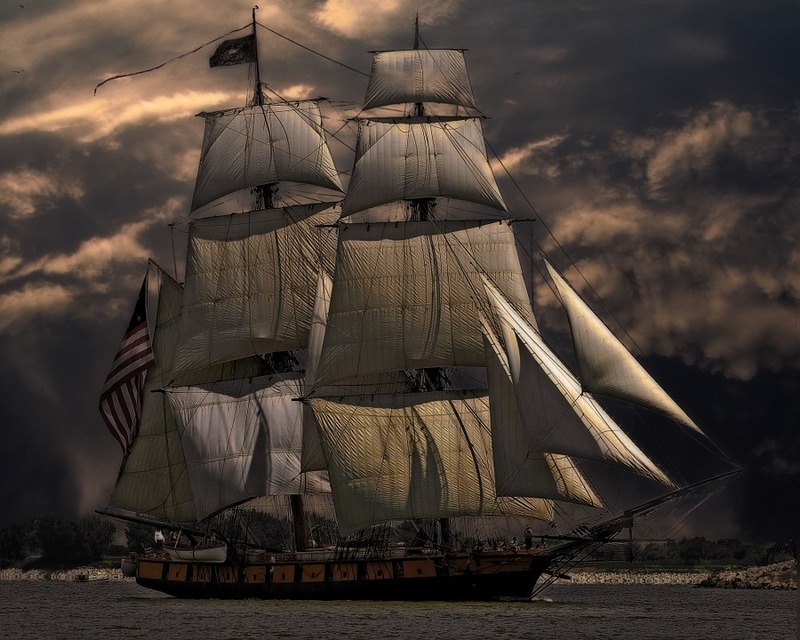 Some of the poor sailors who had to eat it referred to it as worm castles and molar breakers. baked hard, to remove all moisture. This keeps it from molding, and you can still get nourishment from it, if you’re careful in how you eat it. 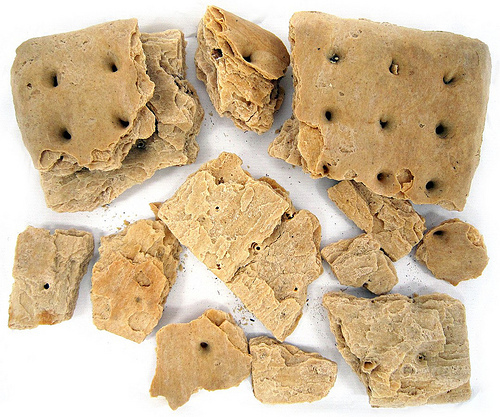 Hardtack was developed many years ago, when people had no refrigeration, or even canning. To preserve foods, they had to be dried or salted. Made of flour, water, and sometimes salt, the closest things we have regularly today are saltine crackers and matzo. 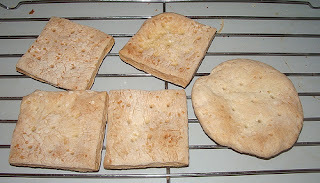 However, hardtack was baked up to four times to make it drier to ensure it wouldn’t mold if kept dry, and this makes it much harder to bite and chew than our crackers. It’s also thicker. 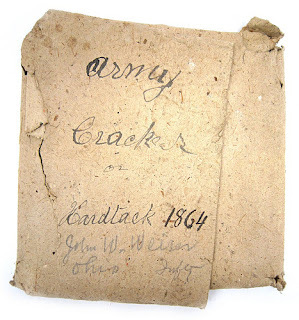 Hardtack was used when people knew they would be without perishable foods for a long time—during sea voyages, long overland trips, or military campaigns, for example. Museums have pieces of hardtack on display that is asserted to be 150 to 200 years old. Inexpensive and lightweight, it was perhaps the first convenience food. But there are many accounts of soldiers from the Civil War and other times, as well as sailors, telling that their bread was full of weevils or grubs. This could happen easily before the hardtack was packed. It only takes a fly landing on it and laying eggs, which happened a lot in the old days. So if you plan to try this not-too-tasty treat, be sure you keep it dry and in a sealed container. In ancient times, soldiers carried dry breads. The Egyptians had a brittle loaf made from millet. Roman soldiers carried wheat biscuits. King Richard I of England carried mixed grain biscuits when he went on the Third Crusade in 1189. They were reportedly made of barley, rye, and bean flour. When the biscuits had been in storage a while, they weren’t always easy to bite into. They were thicker and harder than our modern crackers. Sailors and soldiers dunked them in coffee or whatever liquid they had at hand to soften them. Sometimes they would be cooked into a meal such as a stew or fried in a pan of grease. You can make your own hardtack by combining six cups of flour and one cup of water. Mix it and knead it until it’s a consistent texture, then roll it out about a half inch thick. 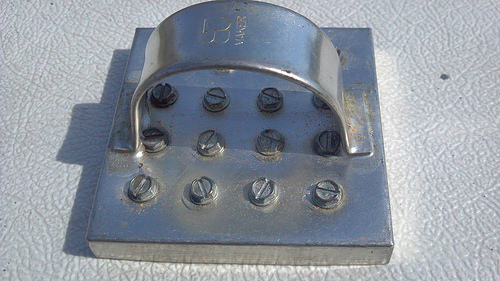 Cut in pieces about three inches square. Poke holes in the pieces and bake it at 375 degrees for 30 minutes, then turn it over and bake it another 30 minutes. Some people only bake it once, and it won’t be as hard if you do that, but baking it again is supposed to remove more moisture, thus giving it a longer shelf life. Some bakers who made hardtack for sailing ships reportedly baked it four times. You can make the biscuits more palatable by adding salt. Some people also want to add oil or shortening, but this will make it go rancid after a while—maybe months instead of years. So don’t grease the pan or add fat unless you plan to eat it soon. You can also make it taste better by adding sugar, cinnamon, or whatever you want, but beware: this will encourage mold and vermin, and it won’t last nearly as long as the plain variety. Kept dry and sealed, your hardtack should last for years. Even if you’re not going to sea or the battlefield, you might want to try it for backpacking or other outings. Fire up the oven and enjoy your historic meal! Just be careful not to break any teeth on it. an audio disk of this book or a paperback copy, leave a comment below and be sure to include your contact information. Susan Page Davis is the author of more than sixty published novels. She’s always interested in the unusual happenings of the past. Her newest books include River Rest, Heart of a Cowboy, and Sleight of Hand. She’s a two-time winner of the Inspirational Readers’ Choice Award, and also a winner of the Carol Award and the Will Rogers Medallion, and a finalist in the WILLA Literary Awards and the More Than Magic Contest. Visit her website at: www.susanpagedavis.com . Some photos from Creative Common licenses. I have always wondered what Hardtack was and how it was made. I enjoyed reading all about it and how to make Hardtack. I will have to try it sometime. Thanks for the giveaway. I hope to win the paperback. Good luck everyone. Glad you enjoyed this topic, Debbie! When I was little my Mom talked about hardtack candy, especially at Christmas, but I wasn't aware of this hardtack. I can see how valuable it would have been. Thanks for sharing the info and recipe. That must have been a special kind of candy, Connie. My mom used to make a chocolate candy that got hard as a rock. She would pour it out in the cake pan and let it harden. I remember my dad cracking it into pieces with the handle of a heavy table knife. Yummy, but also hard on the teeth. OH my..this sounds like the play dough recipe I use...yuck! But I guess if you are desperate for food it is the way to go! Yeah, it sounds like it takes forever to knead. Some recipes used less flour in the ratio. But the drier it is the better, for preservation purposes. Lisa, you didn't leave your contact info. Do you want to be entered in the drawing? The Outlaw Takes a Bride (paperback copy) sounds like a very interesting book - and right up my alley! I've read many historical novels that have hardtack in it. I really don't think I'd like to make it, though. Crackers are dry enough - ha! Very interesting blog post. Thanks, Susan! My son said he thought it was like jerky. He didn't know it was bread. An interesting sidelight, the famous racehorse Seabiscuit was the son of the stallion Hard Tack, who in turn was the son of the famous Man O' War. Get the connection? I always thought that was cool. This is very interesting! I did not know about hardtack. I think adding sugar or something sweet might make it taste better. Yeah, I definitely think it would taste better, but also would probably not last as long. Of course, if you're adding sugar, I think the assumption is that someone is going to eat it (or at least try to eat it) soon. :) I think adding a little sugar would make it ideal to dunk in tea or coffee. I can't help but wonder what our ancestors would think about our modern grocery stores!?! I hope I never have to eat hardtack. While revolutionary in its time, it still doesn't sound appealing to me. 😉 Thank you for the fascinating history lesson. I agree, Diane. I'm sure they would be amazed. Captain Cook was one who started insisting he had fresh vegetables and citrus fruits as much as possible for his sailors. Imagine him walking into a modern grocery store and seeing all the options for preserved foods--and vitamin tablets! So interesting! I'd love a paper copy of your book! Thanks for being so generous. You're welcome, Connie. Glad you stopped by. Thanks! My hubby's actually thinking of trying this for a long bike trip. I told him to take some dried fruit and jerky too! Wow, that was some hard bread! Interesting article. Always thought it was more like a cracker, but not without the oil. Would enjoy reading your new book. Thanks for doing a giveaway. Yeah, and it's actually made a lot thicker than crackers. I think I'd get sick of it pretty quickly. This is fascinating, Sue! We tried making something similar to this back in our homeschool days but we didn't have it right....and I didn't know all the background. Thanks for today's history lesson! And I'm glad my seafaring Navy son does not have to subsist on this sort of diet nowadays. Would love the paperback giveaway book, and thanks for doing this! Oh, Nancy! I'm sure the Navy's food has improved--a lot. Great to see you here. I bought a book from Athens, Mo and hardtack was in it with a lot of other things. it said to use a nail to poke 9 wholes and I thought it was crackers. it didn't mention a tool to make holes. That's pretty cool. I think the special cutters would be pretty hard to find, but what do I know? I've heard of hardtack all my life but didn't know a lot about it. Thanks for the information and for a chance to win this book. You're welcome! Thanks for taking part. I have actually seen Hardtack on display! It was at a pioneer village in a state park but I can't remember which one it was (in my younger days I visited several). I remember thinking it would be impossible to eat. I always wondered how it was made. Thank you for sharing! Interesting! I'm glad so many artifacts from our past have been preserved. When I'd read that they were eating hardtack, I'd nod, think un huh, and go on. Now I know what it really is. Think I'll go make some coffee cake (in Nicaragua) and hope the fire doesn't blow out. Special treat night! Sounds a lot better than hardtack, Melody! As I am reading this, all I can think about is how much this could damage your teeth. I am having dental problems right now..my jaw hurts so much that I can barely open my mouth. So, I won't be trying this recipe anytime soon. Even after my dental appointment, it would still take a lot for me to try it. But, thanks for sharing. I always enjoy reading these posts. The Outlaw Takes a Bride is a great story...congratulations on being named a finalist. Oh, Debbie, I hope I didn't cause you any more pain! And thank you very much. Interesting post, Susan - thanks!! However, don't think I will be making any hardtack, lol. 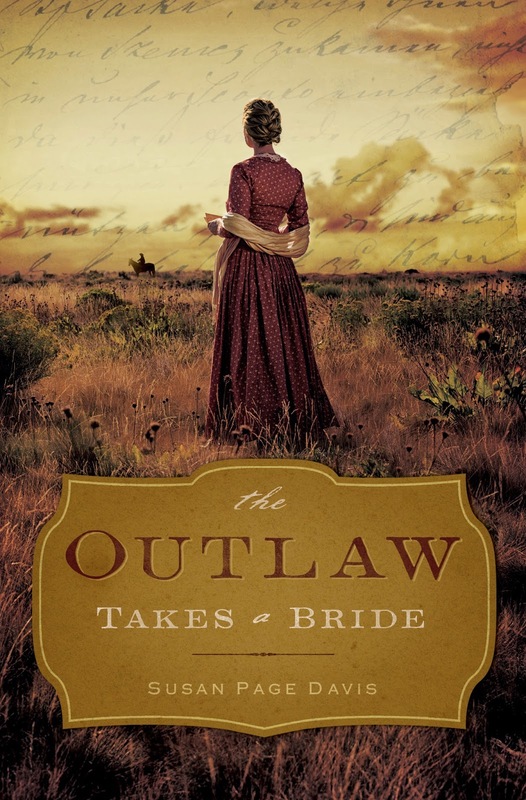 I've love to read 'The Outlaw Takes a Bride' - thanks for the giveaway opportunity!! Making it is not required, ha ha! Thanks for stopping by. We had such a great discussion this month, I am picking two winners. And they are: Nancy Bean and Jan Hall. Thank you, everyone! This was a lot of fun.